First Day of Orientation Week – I am OFFICIALLY a Student! Today is the first day of Orientation week. I was so excited I felt like I could barely sleep the night before. Today is a fun filled day with 3 different events. First I had to go and get my Student ID card and Parking pass. I was surprised that it went so smoothly and there wasn’t a lot of waiting around or standing in line. 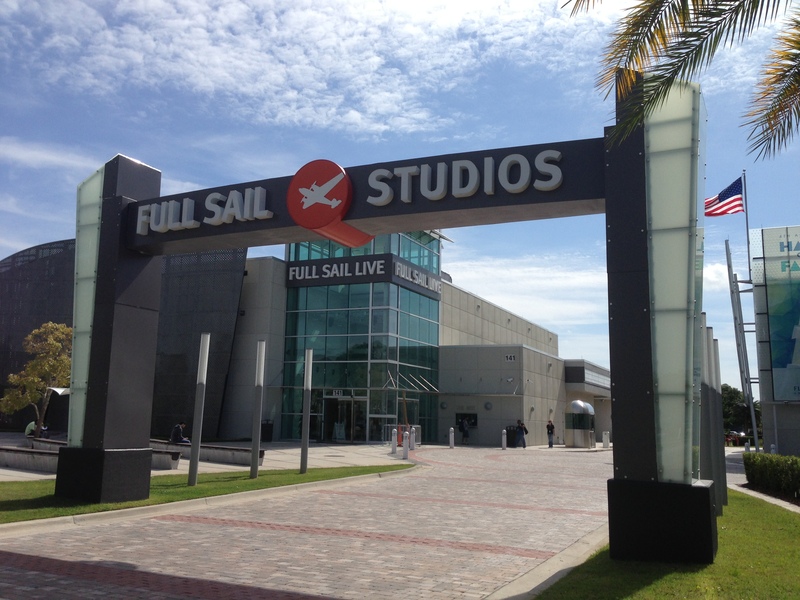 They seem to run a tight ship down at Full Sail keeping everyone moving and directing people where they need to go next. Everyone was very helpful and it was nice to see lots of smiling faces. This was the first time I got to walk through this sign and feel like something huge is about to happen. Something that will directly affect my future and change the rest of my life. Something HUGE is happening right now. I fully appreciated the moment and took a minute to stand here and soak in the knowledge of what was about to happen. As I passed through the threshold of this sign I knew I am on the right path for my life. First step was securing my Student ID Badge and Parking pass. Had to fill out some paper work but everyone was very helpful and scooted me along the line of Full Sail Staff who did a great job making sure everything was being taken care of. Got my Badge, Parking Pass and my GOLDEN TICKET! I’m going to HOLLYWOOD!! Oh wait… no, that is if I was on American Idol. 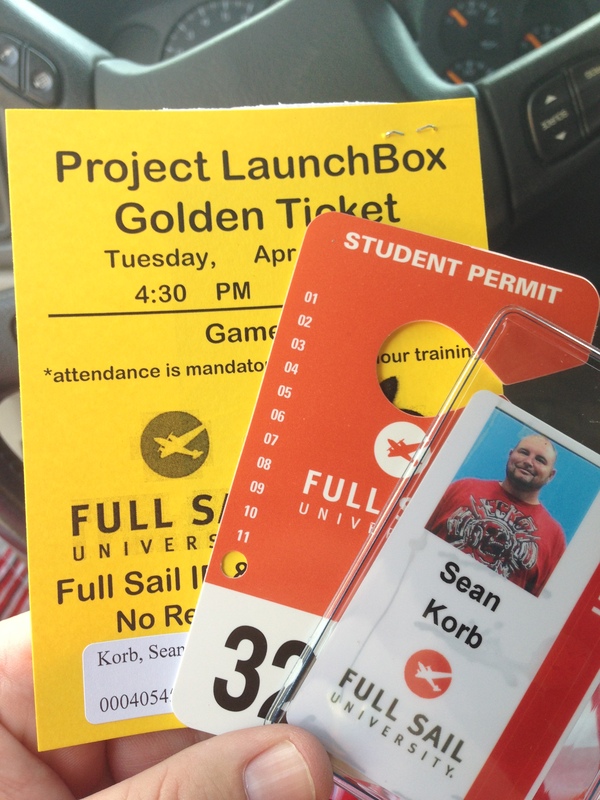 The golden ticket is what gets me my MacBook Pro tomorrow and I can hardly wait! 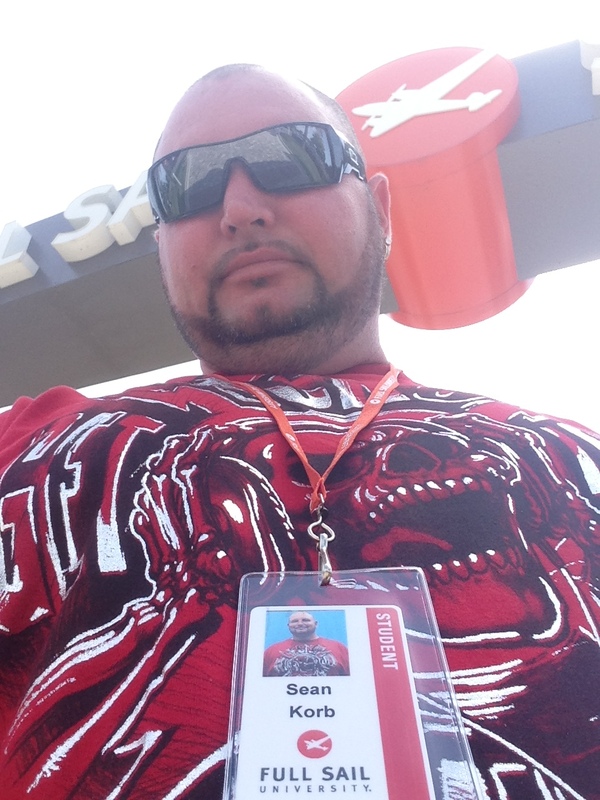 Posted on April 29, 2013, in News and Info and tagged Art, Bachelors Degree, Back to School, Campus, Class of 2016, College, College in my 30's, College Life, Entrance, Full Sail, Gate, Life, Orientation, Orientation Day, Sean Korb, Story, Success, Thirty Something, University, Video Game Art. Bookmark the permalink. 2 Comments. Glad it was such a great day, I’m so happy and excited for you! Love the pictures, it’s a beautiful campus. YEA!!!!!!!!!!!!!!!!!!!!!!!!! Looks good. Can’t wait to see more.